Lidewey van der Sluis is Full Professor of Strategic Talent Management at Nyenrode Business Universiteit (The Netherlands) since 2008 and Extraordinary Professor of Talent Investment at North-West University, in Vanderbijlpark, South Africa. Professor Van der Sluis is also Academic Director for the Nyenrode Executive Program for Interim Managers and the Strategic HRM Executive Course of the Nyenrode Center for Leadership and Management Development. Next to that, she is a member of the Supervisory Board of Inholland University (public sector) and of Schoevers Learning Center (private sector). Lidewey van der Sluis is the founder and academic leader of the Powerhouse Competing for Talent as being the global network of business and academics leaders in the field of Strategic Talent Management as drivers of International Thought Leadership in this area. Lidewey received her BSc and MSc degree in Business Economics from the University of Amsterdam. In 2000 she earned a Tinbergen PhD degree from Erasmus University Rotterdam. In the same year, she received a grant from the Dutch Foundation for Corporate Education to stimulate her research activities in the area of employee learning and development. 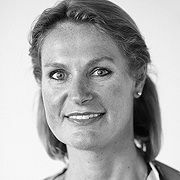 Lidewey van der Sluis‘ research interests include managers work attitudes, learning behavior, learning opportunities, and career identities, as well as talent development and levels of leadership. She has published numerous academic and vocational articles, has written six books, and has several research work in progress.